Puddingstone Project is a conglomeration of artists based around Dayton, Ohio, who blend their craft into unique presentations for audiences of all ages. Like the rock after which it is named, Puddingstone Project grows richer and more colorful through collaboration. 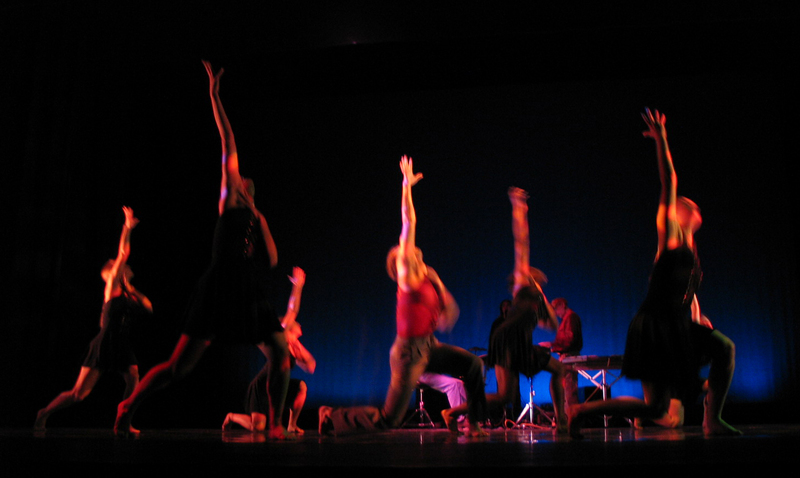 In 2004, the Project presented its first work, “Shades of Possession,” which combined contemporary dance with live onstage music and vocal performances by company trailblazers Kevin G. Anderson, Gina Unverferth and Will Shoemaker. The performance, featuring dancers from Wright State University Dance Ensemble, was part of the Akron University faculty and friends concert and Wright State University Dance Ensemble concert. Puddingstone Project performs to audiences of all ages, and in 2013 it unveiled its new school show, perfect for children ages toddler through grade three. The 45-minute interactive music and dance performance combines humor and arts education into a dozen pieces performed and created by Beth Wright and Kevin G. Anderson. 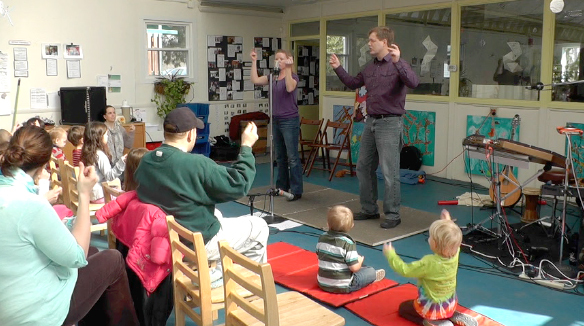 Children sing, dance, move and create a rainstorm using only their hands and feet. The show leaves time for student Q&A and hands-on time with shoes and instruments. The show can be tailored to the needs to the school and the ages of the students. Show is booking now for preschools, elementary schools and libraries in the Dayton, Ohio, area and beyond (we love to take the show on the road!). Contact us for availability at puddingstoneproject[at]gmail.com and watch clips of the show by clicking on the video tab. Puddingstone Project is also embarking on its first full-length theatrical production, combining dance, music and theater to tell the story of a child who through blending of fantasy and reality discovers the strength to overcome a child’s greatest foes — the Shadows and Doubts. Under the working title “Captain of the Chocolate Cake and Other Adventures,” the production is in development, lead by the scriptwriting of acclaimed author Katrina Kittle, music of composer Kevin G. Anderson and the choreography of Beth Wright, with contributions of talented artists from throughout Ohio. The Project is working toward a 2014 Dayton premiere followed by nationwide touring. The Puddingstone Project invites you to learn more about this and other endeavors. Please e-mail inquiries to puddingstoneproject[at]gmail.com and watch this site for sneak peeks of the adventure and mayhem to come!